I believe your cruel attempt at humor I assume you sent equally humorous skits to each of the justices of the Calif. & U.S. Supreme Courts, the trial judges, juries and my predecessor. Incidentally, with regard to your reference to the ten commandments the bible was interpreted from the ancient Hebrew language. Leading Hebrew scholars say the literal translation of that particular commandment is; "Thou shalt not murder." This is the same Old Testament that calls for "An eye for an eye." 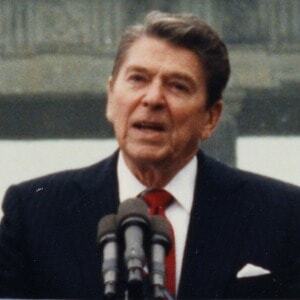 Reagan was a religious man, and quite correct that it was the King James Version of the Bible, and not the Torah, which rendered the 6th commandment “Thou shalt not kill”, instead of the more accurate “Thou shalt not murder.” It was in fact his executive prerogative in regard to murder, that Reagan found to be most difficult aspect of his governorship; no part of the job, he confessed, was approached more prayerfully. Autograph Letter Signed (“R.R”), as Governor, 1 page, quarto, no place, no date [April 20, 1967]. To Laurence Russell Walton in Universal City, California. Being a draft to be typewritten. Mark Twain to French Jewish Writer Marcel Schwob: "I Do Commit Crimes, But They Are Not of This Grade"